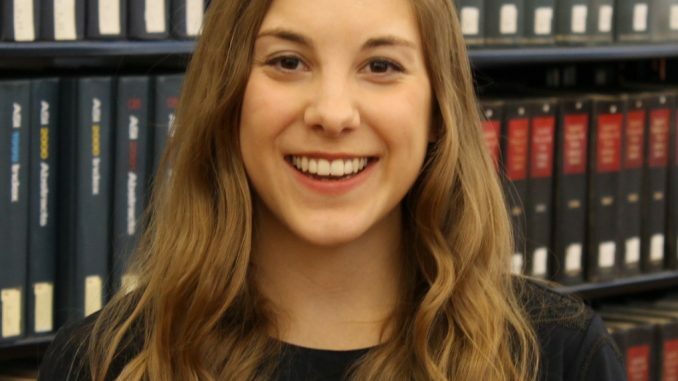 Natalie Ornat is a humanities librarian at the University of North Carolina at Charlotte. 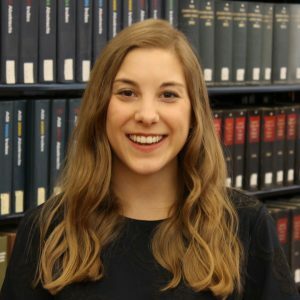 Natalie has been a member of ACRL for 2 years and is your ACRL member of the week for March 11, 2019. Describe yourself in three words: Optimistic, determined, curious. What are you reading (or listening to on your mobile device(s)? I am currently reading Kate Atkinson’s latest novel, Transcription, which is fantastic. I also love listening to podcasts during my commute to and from work. If I want to arrive feeling empowered and energized, I’ll listen to the ladies of the Hysteria podcast by Crooked Media. If I want to relax and add to my TBR list, I’ll listen to Book Riot’s Get Booked podcast. Describe ACRL in three words: Community, collaboration, support. What do you value about ACRL? ACRL has provided tools, guidance, connections, and support that have been very helpful to me throughout my first year in the library profession. As a subject librarian who teaches a large amount of instruction sessions, the ACRL Framework for Information Literacy is an essential tool that impacts my daily work. ACRL publications and member sections have given me an opportunity to share my research and stay updated on conversations happening within our field. I also value being part of an organization that actively works to promote the role of academic libraries and our core values in the world. What do you as an academic librarian contribute to your campus? We contribute in so many ways! To students, we are a source of compassionate and helpful support they interact with during what can be stressful and uncertain times. To faculty, we are connectors that link them to resources, ideas, and groups that can further their research and teaching. To the campus community, we are advocates for values such as information access, inclusivity, intellectual freedom, and social responsibility. In your own words: I feel incredibly lucky to do this work. As an academic librarian, I want our students to be critical information seekers, users, and creators, not only so they can succeed in the classroom, but so they can navigate an information saturated world, explore their own passions, and advocate for themselves and their communities. Access to education and information is truly transformative and empowering. Our role in supporting this, at all levels of the library, keeps me energized.